There are many people out there who would love to purchase a gun for concealed carry or home defense, but they just don’t have any extra money. Ever since the Great Recession began, more and more people have been living paycheck to paycheck with barely any spending money to speak of. If that sounds like you, then you should know that if you look hard enough, it’s possible to find an amazing deal on a gun. In the first video below, Miller’s Guns And Gear shows us a Jimenez .380 that he got for only $60. In the second video, he shows us a Sundance A25 that he got for only $40! Now to be honest, these aren’t the best guns. But if you’re almost broke and you have to choose between a cheap gun and no gun, a cheap gun might be worth having until you can afford something better. I was trying to search for the video on his youtube site since it’s not showing on this post. I found one on hi-point guns. they have a 9mil that’s under $200. It seems a lot of people like that brand and say it’s pretty reliable. 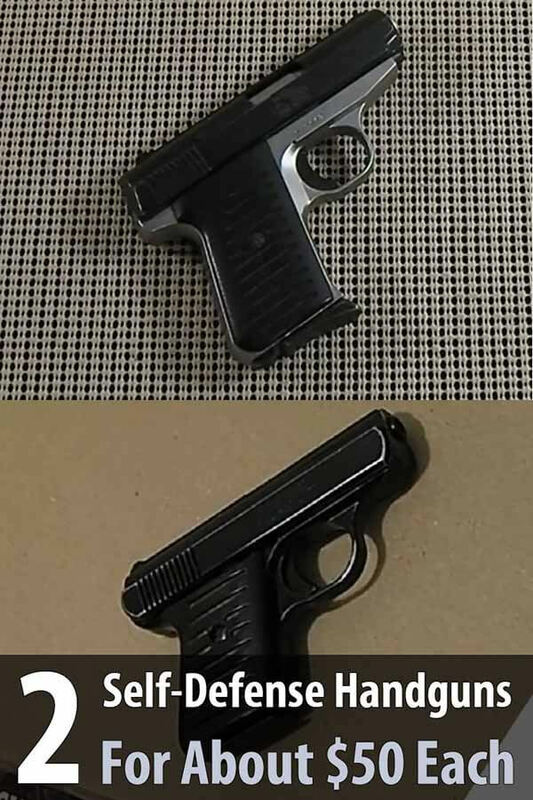 the video i watched were showing 2 models the 9mil and .380 that were very similar. he was talking about the .380 being for people who are recoil sensitive or possibly a beginner as a confidence booster because it’s easy to shoot then the person can feel good that they can easily hit targets and then they will be more likely to get a new gun with a higher caliber. also he recommends shooting .380 full metal jacket for self defense rounds. unless the person is high as a kite then a gun is better then no gun when it comes to self defense. some states ban things like stun guns and pepper spray doesn’t always work especially if your hiking in the woods. Where the hipoint is a decent gun it is a big heavy gun. Definitely not a concealed carry gun. I question the credibility of anyone that would post a picture that so blatently violates one of the basic rules of gun safety. There are a couple of flaws with this philosophy. First, if you don’t practice with a gun, it is much less effective for defense. Practice is expensive and time consuming, and if a $50 gun is all you can afford, then finding the time and funds for practice seems unlikely. Next, a defensive firearm must be reliable. Cheap guns are less reliable, and minimal use won’t allow you to find any flaw existing 2in any gun. Finally, a defensive firearm must be able to stop an attacker from continuing his attack. .380 is poor at stopping an attacker, .32 is worse and .25 is much worse. .22 is pretty bad too, but at least the ammo is (or at least was) cheap enough that a lot of practice was practical. Sooooooo basically, if a $50 gun is all you can afford, your beleif is that you should just not bother? Yeah, Where do we find these?